GRAB a fistful of dollars – at least the ones with Honest Abe on them – take a quintet of officemates or visitors to New York City and head over to that corner where Jazz overlooks Central Park. A nap beforehand is advised, since the Tuesday, Wednesday and Friday sets start at 11 p.m.
Once at the “house of swing” as Jazz at Lincoln Center (http://www.jalc.org) likes to call itself, you and your guests can enjoy these particular late-night jam sessions to the tune of a $5 Cover, $5 Menu and $5 Drinks. 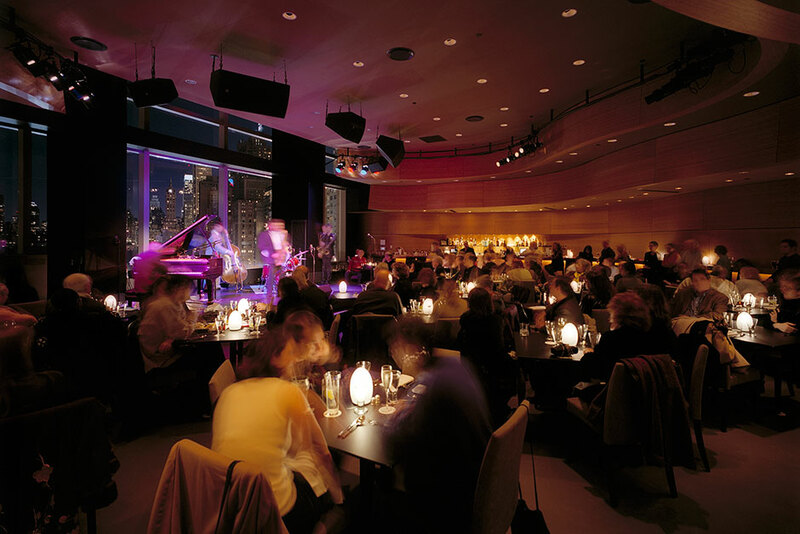 Dizzy’s Club Coco Cola calls these sessions “Hot Fives.” You and your crew will call them a treat. Named for legendary jazzman Dizzy Gillespie, Dizzy’s Club Coca Cola is a generously appointed room with luxurious seating, a gorgeous view from its vantage point in the Time Warner Building and great acoustics. It is an intimate setting, with curving bamboo walls and soft tones to accommodate live jazz in a lush re-invention of the basement dive. The “Hot Fives” lineup at Dizzy’s Club Coco Cola may be subject to change, but it has featured such acts as The Tony Lustig Quintet. Coming up 26-29 Dec is the Bruce Harris Quintet. These late-night jam sessions also introduce up and comers. 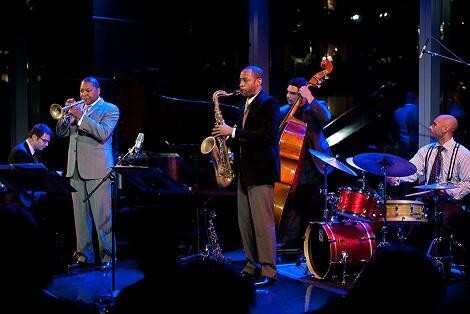 Jazz at Lincoln Center Artistic Director Wynton Marsalis and his eponymous quintet on stage at Dizzy's Club Coca Cola. The comfort food coming out of the kitchen at Dizzy’s Club’s Coco Cola could potentially be a Gumbo, Arrowhead Mill Grits, Fried Green Tomatoes and a dishcalled a N'awlins Fry. The menu is prepared in consultation with Spoonbread, Inc., (http://www.spoonbreadinc.com/) New York’s largest black-owned, full-service caterer. No reservations are required for the “Hot Fives,” but it is recommend that a call be put in just to make sure no one is disappointed.